77.6% of Local Businesses Still Don't Have a Website! Provide High-Quality Websites At Competitive Prices...and You'll Bank Big! fa-check70 % of marketing professionals report that Video converts better than any other medium. 70 % of marketing professionals report that Video converts better than any other medium. fa-check64 % of consumers are more likely to buy a product after watching a video about it. 64 % of consumers are more likely to buy a product after watching a video about it. fa-check90 % of users say “SEEING A VIDEO” about a product is helpful in their decision process. 90 % of users say “SEEING A VIDEO” about a product is helpful in their decision process. fa-checkViewers Retain 95% of a message by WATCHING VIDEOS! Viewers Retain 95% of a message by WATCHING VIDEOS! fa-checkAfter a Video is Viewed, 64% of online viewers are more likely to want, and ask about, your services! This Breakthrough System enables you to easily build many different Local Business Sites with ONE Click... in under 5 minutes. These Local Business Websites were developed based on my $2 Million Dollar AdWords Management expertise. 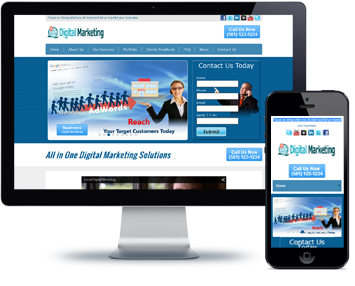 We have already created more than 200+ of the most desirable Niche Websites. These are instantly available for Local Theme Jack users. fa-check-square-oWhat if you don't offer Adwords as a Service? Simply turn OFF Adwords in the Theme Backend, and it will not show up on the Front End of your theme. How Cool Is That? fa-check-square-oThis is one of our most elaborate and strategically planned themes, and your Home Page will include these 3 features: a slider deck with 9 slides, a short video, and 9 articles. Choose to use one or both or everything, and do it all with a few clicks of your mouse. It's really up to you! anymore because the seller no longer supports them? That won't happen here. I am proud of my software development team. Each team member has 5 or more years of software development experience. We will continue to support this product for years to come. So.. Who is This For? Yours Today for only $27 the first month and then $47 Monthly. Since you can install 10 new domains per month, this is less than $5 per Niche! You get Instant Access to 200+ of the most desirable Niches right away, as shown in the list below. You can install 10 niche sites per month on your own or your client's domains. (unused credits roll over). Each month, you may install 10 more sites - and choose from any of the 200+ themes Client Domains each month. Get Access to Local Theme Jack Enterprise, Easy and Fast, Proprietary and Unique, ONE Click Niche Install Profit System for Only $27 to first month and then $47 monthly. This more than 50% Discount is available only during this Special Launch. fa-quote-leftHi Karen, thanks for showing me how to use that theme. I have been building the pages for the summit and having so much fun! It is easy and I am so grateful to have a theme that gives me the pages as I imagine and want them to work! Thanks again for your patience and everything that you did to help get me here. I am excited about websites again. fa-check-square-oEach niche theme installation was tracked for more than 16 months so we know very well which themes are sold the most. fa-check-square-oOnly during this special promotion I share this secret list with you too. fa-check-square-oDon't waste your time. This Bonus alone is more then $97 worth and, frankly, you can not buy it at any other place. fa-check-square-oEnterprise + Members will be able to vote for the development of 17 additional Niche Themes which are not already included in our Niche Collection. fa-check-square-oAccess to our Exclusive Local Theme Jack Private Facebook Group, where you can connect and network with like-minded Business Owners, plus get answers to your most challenging business questions. You will be able to participate with other members, receive tips and get important notifications. fa-check-square-oGet access to my Elite Support Level. My professional team and I will always get back to you in one business day or less. When you have the power to create stunning professional websites in just 1 click, imagine how much money you can make! Try Local Theme Jack's Drag 'n Drop Website Builder Today for 30 Days. Satisfaction Guaranteed!